Retiring? Downsizing? Thinking of buying or selling your home? A Seniors Real Estate Specialist can help. We can help provide you with a customized approach to your real estate needs. 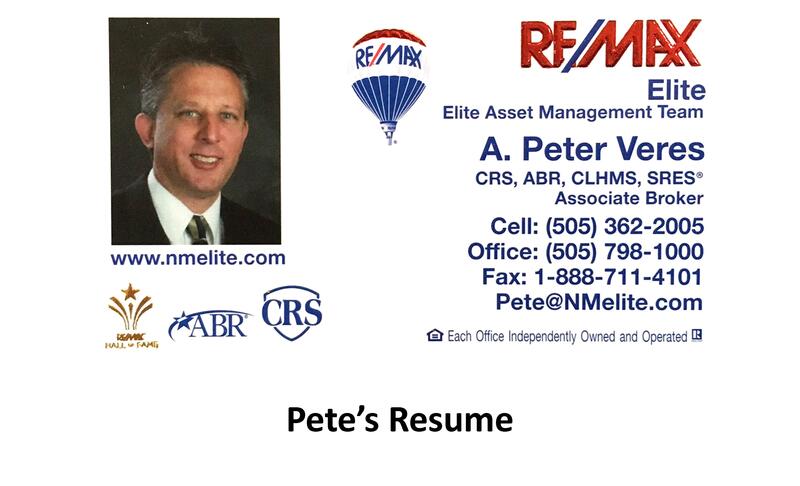 I have the knowledge and experience to help your through the complete real estate process and lifestyle transition. We offer our clients the patience, professionalism and expertise you deserve. 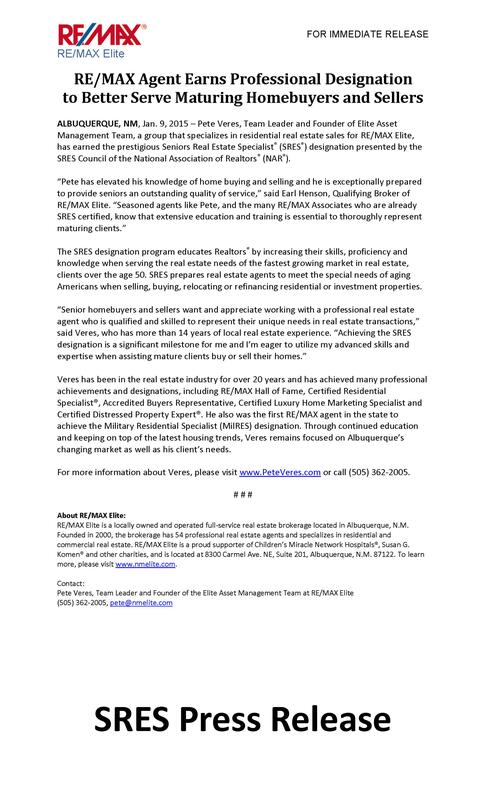 As an SRES® designee, I have received extensive education on topics such as tax laws, probate, estate planning, equity conversion strategies, and can offer you relevant information on current market trends as well as valuableresourcesregarding real estate transactions. I will provideyou with a customized approach to your real estate needs. I have the knowledge and expertise to counsel you through the major financial and lifestyle transitions involved in relocating, refinancing, or selling your family’s home. My team and I offer you the opportunity to complete a real estate transaction with the patience, professionalism, and expertise you deserve. When you work with your local SRES Agent, you can have access to our network of professional resources that serve your specific needs. Many of our partner organizations are industry leaders and provide great references for education and tools to assist the needs of senior clients. Has the time come where you are thinking about downsizing or to moving into another home more suitable for you? Like thousands of home sellers, you may discover that after years of children running in and out of your doors, toys on the floor, lot’s of excitement you can suddenly hear a pin drop over the quiet hum of the refrigerator. Your rooms are filled with pictures and memories of this wonderful time in your life, but there are many empty rooms gathering dust now that your children have moved on. As things continue to change in our lives we find ourselves having to decide on the “Next Steps” in our lives. If you find yourself in this situation, you're just one of many. What this means is that this will be the start of many wonderful opportunities in a potentially new chapter in your life . To help you understand the issues involved in making such a move, and how to avoid the most common and costly mistakes, as your local downsize specialist we've prepared this report to help you start thinking & planning for the move ahead. Of course it’s all in your timing so we will be ready for you when the time is right. Please click below to get your free report. The SRES® Designation is an official member of the NATIONAL ASSOCIATION OF REALTORS’® family of designations. 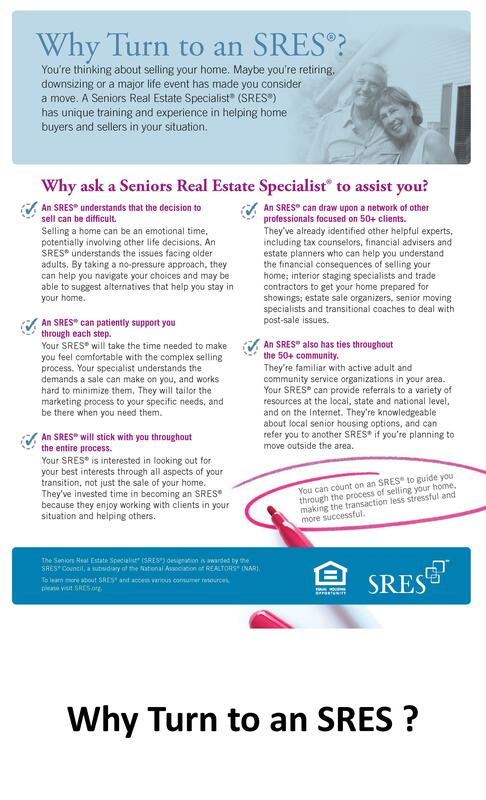 The mission of the SRES® Council is to promote member success by providing high quality training and tools necessary to position the SRES® Designee as the trusted real estate resource for the 50+ market. Currently, there is an elite group of over 15,000 SRES® Designees.